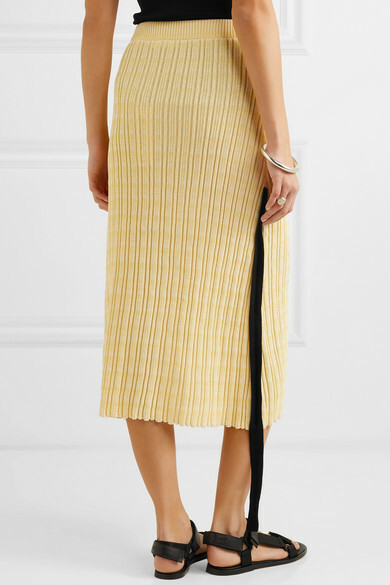 Slip on Jil Sander’s knitted skirt and instantly feel comfortable yet chic. 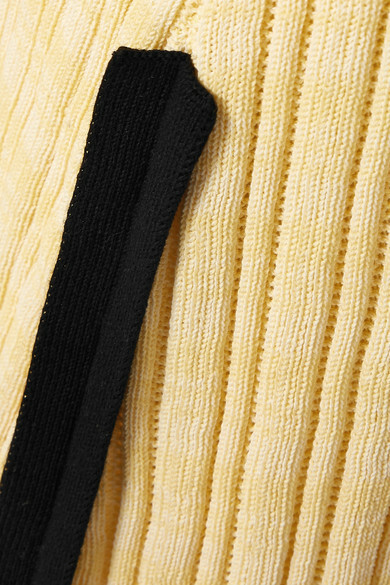 This midi style is made from mid-weight cotton in a warm yellow hue and has a ribbed finish that gently hugs your curves. The long chiffon tie elegantly moves with each step. 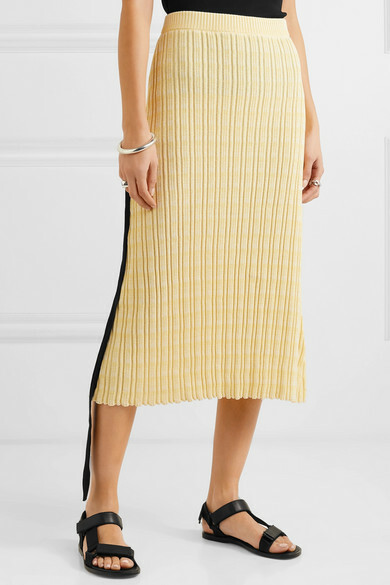 Pair it with the label’s longline tanks as seen on the Spring ’19 runway. Shown here with: Dries Van Noten Shoulder bag, Vince Sandals.